According to a new note on The Wall Street Journal's style book, much of its coverage painted millennials with a broad and sometimes insulting brush. "What we usually mean is young people, so we probably should just say that," the new WSJ note reads. "Many of the habits and attributes of millennials are common for people in their 20s, with or without a snotty term." With its countless definitions and interpretations, the term has been ruffling feathers since it was first coined in 1991. The "millennial generation" is generally used to refer to people born between 1980 and 2000. NPR's Michel Martin spoke with Ben Zimmer, a linguist who also writes a language column for the WSJ, to further understand the usage of the term. Zimmer is not connected to the WSJ style book. On the origins of the term "millennial"
The word millennial is old. In English, it goes back to the 17th century but back then, it meant something quite different. "Millennial" comes from a root referring to "1000 years" — that's the Latin root — but back in the 17th century, if you used that word, you were talking about this idea that comes from the Book of Revelation, that there would be a second coming of Jesus Christ. It was only in the 1980s, 1990s that the word millennial started to be used to refer to the coming of the third millennium. So that was when two demographers named William Strauss and Neil Howe published a book in 1991 called Generations. And at the time, this new generation was just starting preschool, but Strauss and Howe decided that they should be called millennials, because they would be coming of age in the new millennium. A lot of these generational labels, they can start off pretty neutral but then they can get some pejorative connotations associated with them. We've seen this with Baby Boomers and Generation X, which I would be a member of — the idea that there was this new generation of disaffected youth, very often being called slackers and so forth. I think The Wall Street Journal, like other media outlets, has probably gone overboard in pinning various social ills on millennials. It's become almost a cliché now, headlines that say: "Millennials are killing the travel industry," "millennials are killing marmalade." Millennials are the scapegoat for everything these days. I think we should be careful in how we use these labels because they tend to lend themselves to easy stereotypes. Generalizations that really don't tell you much about the people in those generations, but might actually reveal more about the writer who is slinging these labels around. Digital News intern Jose Olivares produced this story for digital. Finally today, we're going to take a moment to consider a label that has ruffled many feathers since it was first coined in 1991. We're talking about the term millennial, as in millennial generation. That generally is meant to refer to people born between 1980 and the year 2000. Earlier this week, The Wall Street Journal issued a note on its Style blog, acknowledging that much of its coverage had painted these young people with broad, and in some cases, insulting a brush, writing - we risk alienating them if we write about them with such disdain. To hear more about what this might mean, we called Ben Zimmer. He is a linguist. He writes a language column for The Wall Street Journal. We note that he was not connected to the Stylebook. He's with us from his home office in New Jersey. Ben Zimmer, thanks so much for speaking with us. BEN ZIMMER: Oh, thanks for having me. MARTIN: First, could you just give us a little background on the word millennial? Where did the word come from, and how did it become a stand-in for a generation? ZIMMER: Well, the word millennial is old in English going back to the 17th century. But back then, it meant something quite different. Millennial comes from a root referring to 1,000 years. That's the Latin root. But back in the 17th century, if you used that word, you were talking about this idea that comes from the Book of Revelation that there would be a second coming of Jesus Christ. It was only in the 1980s and 1990s that the word millennial started to be used to refer to the coming of the third millennium. So that was when two demographers named William Strauss and Neil Howe published a book in 1991 called "Generations." And at the time, this new generation, they were just starting preschool. But Strauss and Howe decided that they should be called millennials because they would be coming of age in the new millennium. 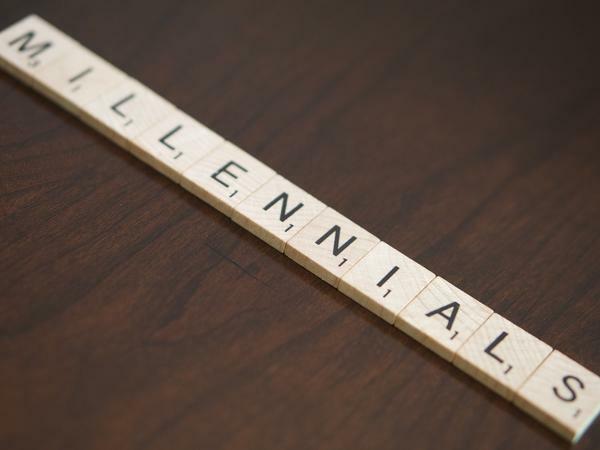 MARTIN: Do you have a sense of how the usage of millennial compares to that of other generational labels like Gen X, baby boomers, the silent generation, et cetera? Do you see a difference? ZIMMER: Well, it's interesting because a lot of these generational labels, they might start off as something relatively neutral, but then they can get some pejorative connotations associated with them. And so, you know, we've seen this with baby boomers and Generation X, which I would be a member of, this idea that there was this new generation of disaffected youth, you know, very often being called slackers and so forth. MARTIN: Well, as you know, The Wall Street Journal, where you have a language column, issued a style note this week apologizing for painting millennials with a broad brush. I was curious what you made of the note if you feel comfortable telling me. I mean, do you think it's reflective of people complaining? Do you think that they have a point, that they've perhaps had a little too much fun with the term? ZIMMER: Well, I think The Wall Street Journal, like other media outlets, has probably gone overboard in pinning various social ills on millennials. It's become almost a cliche now headlines that say - millennials are killing the travel industry or, you know, millennials are killing marmalade. Millennials are the scapegoat for everything these days. And so I think we should be careful in how we use these labels because they tend to lend themselves to easy stereotypes, generalizations that really don't tell you much about the people in those generations but might actually reveal more about the writer who's slinging these labels around. MARTIN: That's Ben Zimmer. He is a linguist and language columnist for The Wall Street Journal. He was kind enough to join us from his home in New Jersey. And I noticed that we avoided all jokes about avocado toast, so good for us. MARTIN: Yeah, good for us. Ben Zimmer, thanks so much for speaking with us. (SOUNDBITE OF J-WALK'S "HIP HOP BE BOP") Transcript provided by NPR, Copyright NPR.